This printable, downloadable handout was created for high school students, elementary school students and adults at Beginner (pre-A1), Elementary (A1), Pre-intermediate (A2) and Intermediate (B1) level. It is useful for strengthening your groups' Speaking, Reading and Writing skills. 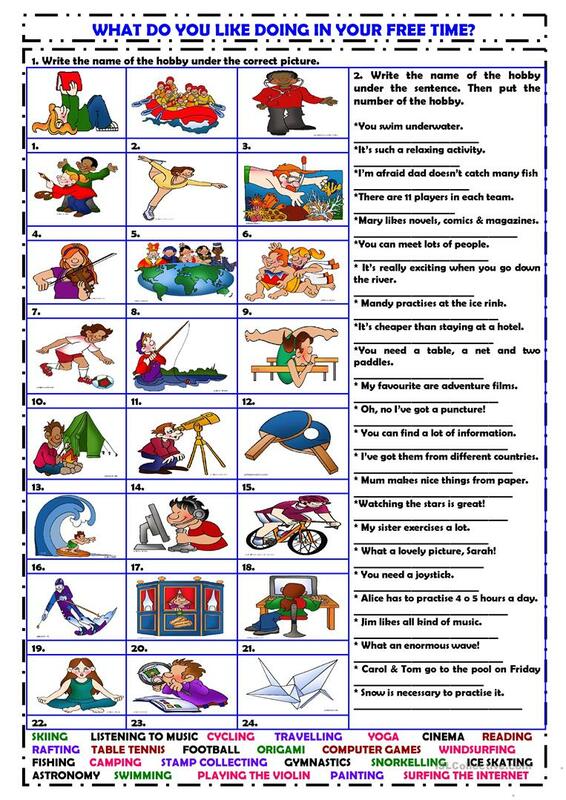 It focuses on the vocabulary topic of Free time, leisure activities and Hobbies. The exercises come with a key.